Should You Avoid Lunch For Weight Loss? Weight conscious individuals are often trying to determine how to lose weight fast and are subject to diet mistakes. However, there is evidence that individuals who lose weight slowly and gradually, at a rate of around 1-2 pounds every week, are more likely to be able to maintain their healthy weight. The most common myth about weight loss is that starving will help one shed weight easily. Weight conscious individuals are often trying to determine how to lose weight fast and are subject to diet mistakes. However, there is evidence that individuals who lose weight slowly and gradually, at a rate of around 1-2 pounds every week, are more likely to be able to maintain their healthy weight. Staying at an optimal weight is a lifestyle change that involves good eating habits. 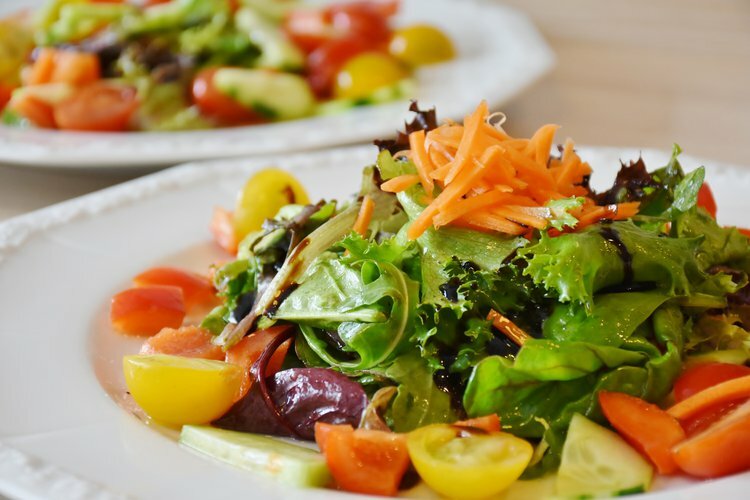 According to a study published in Journal of the Academy of Nutrition and Dietetics, women who want to lose weight should maintain a food journal and avoid skipping meals and eating out at restaurants, especially during lunch. The researchers found that women who skipped meals lost around 8 pounds less than women who did not. A good weight loss strategy is to avoid skipping meals and eating at regular intervals. Skipping lunch may lead to more long-term weight gain. Starving the body of energy for a long time causes it to crave sugary and fatty foods. When one finally eats, one ends up consuming many more calories than necessary, thus defeating the purpose of skipping meals. A study published in the Annals of Internal Medicine estimated that 49% of female U.S. high school students and 18% of males students skipped meals to control weight gain. The food we eat is equivalent to fuel for the body. If one skips lunch consistently, the body launches into “starvation mode.” This means that the body’s metabolic rate slows down; it tries to preserve energy, and uses up fewer calories. This causes one to gain weight because one needs to expend more calories than one eats, in order to shed weight. A study published in the Journal of Adolescent Health in 2012 concluded that unhealthy weight control behaviors among adolescents, such as skipping meals, eating insufficient portions, consuming diet pills, and using food substitutes, led to increased weight gain over a period of time. It can be said that eating many small meals throughout the day helps control appetite. When meals are planned well and eaten regularly, the body prompts us when hungry and when full. When one does not eat for a long period of time, the blood glucose level drops. This deprives the brain of energy and may cause dizziness and irritability. Skipping lunch consistently can lead to nutritional deficiencies over time. Health issues, such as anemia, arrest of periods, reduced thyroid function, compromised immune function, bone loss, increased risk of catching colds, poor concentration, and deteriorating dental health, are likely to occur. Thus, eating balanced meals frequently in small portions helps one lose weight and maintain it too. Serdula MK, Collins ME, Williamson DF, Anda RF, Pamuk E, Byers TE. Weight control practices of U.S. adolescents and adults. Ann Intern Med. 1993 Oct 1;119(7 Pt 2):667-71. PubMed PMID: 8363194. Foreyt, J. P., & Goodrick, G. K. (1994). Attributes of successful approaches to weight loss and control. Applied and Preventive Psychology, 3(4), 209-215. Ello-Martin, J. A., Roe, L. S., Ledikwe, J. H., Beach, A. M., & Rolls, B. J. (2007). Dietary energy density in the treatment of obesity: a year-long trial comparing 2 weight-loss diets. The American journal of clinical nutrition, 85(6), 1465-1477. Rolls, B. J., Drewnowski, A., & Ledikwe, J. H. (2005). Changing the energy density of the diet as a strategy for weight management. Journal of the American Dietetic Association, 105(5), 98-103.